Greetings once again and thanks for taking the time to visit. 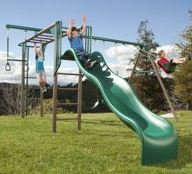 Are you interested in buying a Lifetime Monkey Bar Adventure Swing Set 90143 in the coming days or weeks? If so, make sure to check out our brief review which will outline all the main features that you need to be aware of plus all the main pros and cons that have come up from our own experience and also feedback from several buyers across the industry. In addition, we will outline additional images to give you a better understanding on the frame plus a short FAQ that will be of interest to you to answer any questions that you may have. Please be aware though that guide prices can only be presented at the time of this review as prices can change from month to month or week to week depending on local discount activities so please make sure to view the price checkers provided below to ensure you have the most up to date accurate price information. Q. What are the dimensions of the shipping box? A. The dimensions of the shipping box are 36.5" H by 110" W by 110" D.
Q. What are these swing sets made from? Q. How big is it and what are the dimensions? Q. Can toddler swing seats be added? Q, Where are these swing sets actually made? Q. 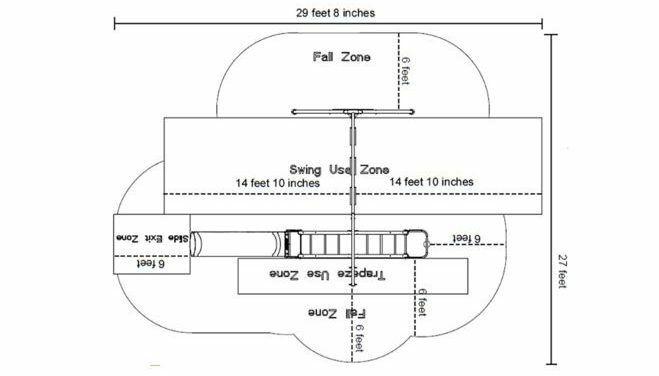 What is the height of the swing beam? Q. What is the distance between each swing seat? A second model with different colors model number 90177 is also available if you prefer yellow, red and blue colors instead. Includes the fun and exciting fireman's pole where the kids can enjoy endless hours of fun and the assembly is a lot easier and quicker than several larger sets. The superior powder-coating makes it weather and rust resistant and protects it against cracking, chipping or peeling much better than commercial sets. There is no need for anchors or cement as it is free standing and is resistant to warping, mildew, fading and UV. 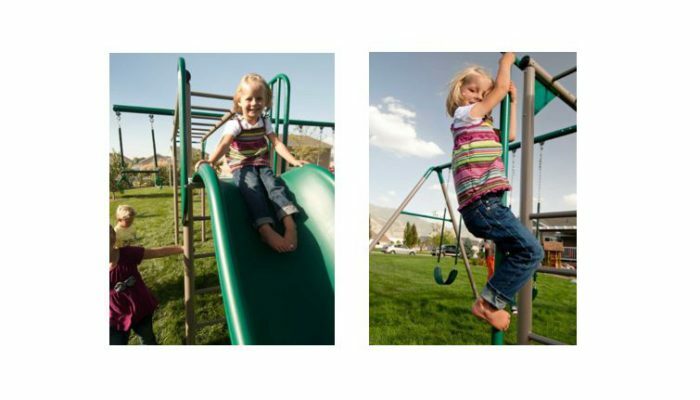 Doesn’t have the shoe loop swing, sandboxes, picnic benches or accessories like the tic tac toe panel that many other wooden swing sets offer. 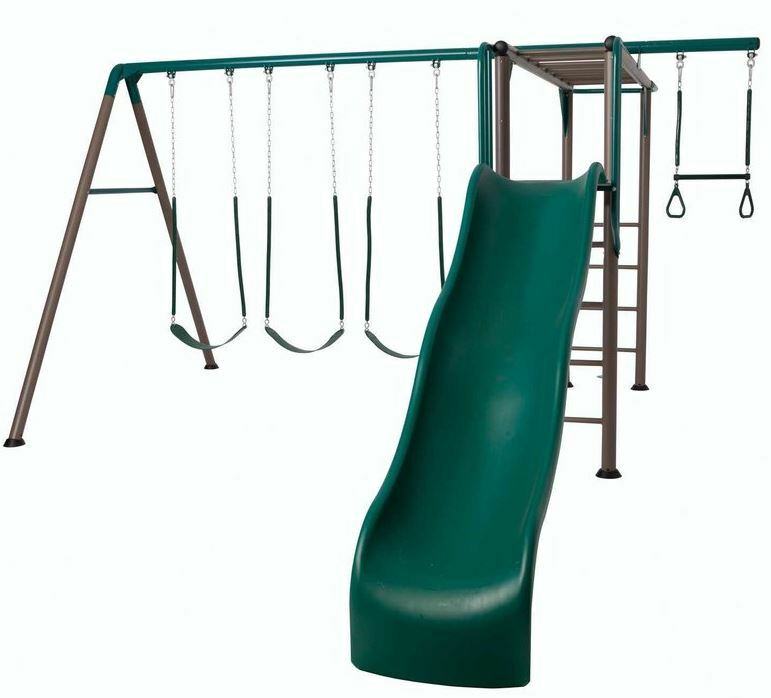 No tire swing, no rock wall, no climbing nets either which makes this swing set quite basic overall in terms of features and accessories, yet costs more than swing sets that offer these type of features and accessories. 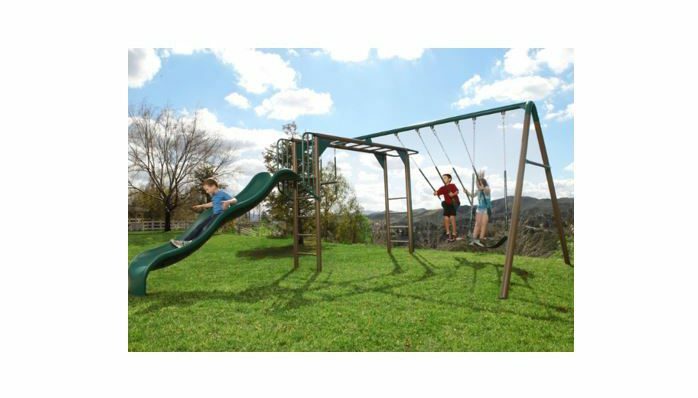 Have you or your kids any personal experience with the Lifetime Adventure Swing Set 90143 in the past? If so, then please share your thoughts and feedback with the wider community by leaving a comment in the comment section below – So that they can learn also!!! 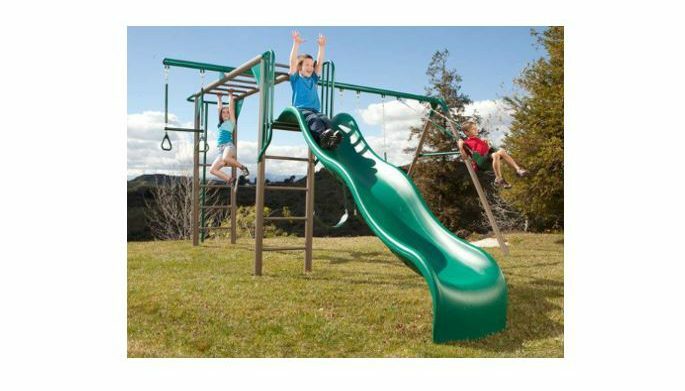 Posted in Swing Set Reviews and tagged Earthtone Monkey Bar Adventure Swing Set, Lifetime 90143, Lifetime adventure Swing Set 90143, Lifetime Earthtone Monkey Bar Adventure Swing Set, Lifetime monkey bar adventure playset, Lifetime monkey bar adventure Swing Set, Lifetime Swing Set 90143, Lifetime swing set 90143 monkey bar playground slide.